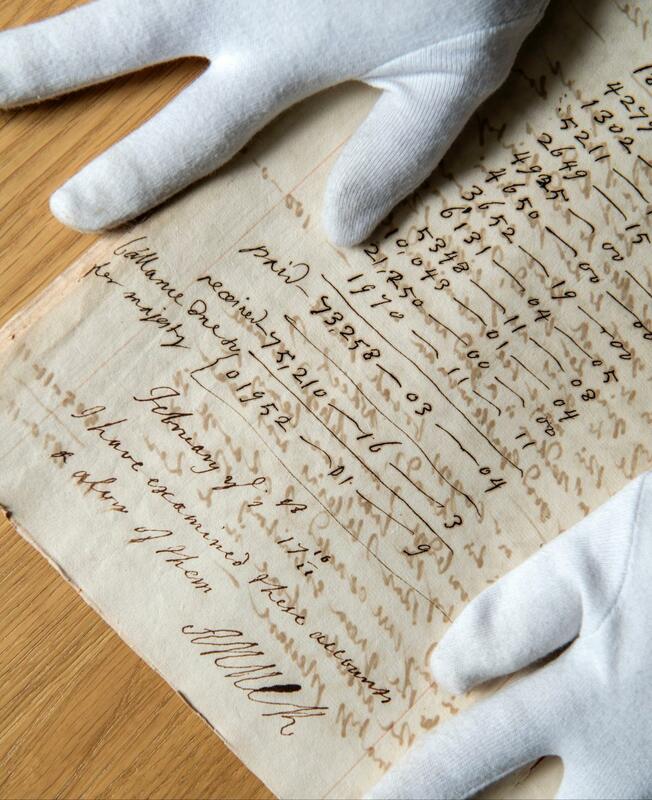 An 18th-century accounts book, newly discovered among the archives at Blenheim Palace, is providing historians with a fascinating insight into Queen Anne’s daily life. The accounts, which cover a three-year period from 1708-1711, were kept by the Queen’s close friend Sarah Churchill, Duchess of Marlborough, who oversaw the building of Blenheim Palace. Prior to their infamous falling out Sarah, played by Rachel Weisz in the multi-Oscar nominated ‘The Favourite, acted as Keeper of the Privy Purse to Anne, portrayed by Olivia Colman in the film. The role meant Sarah, who prided herself on her bookkeeping, supervised all the Queen’s expenditure; even including Anne’s supply of pocket-money, play-money, and charity-money. Blenheim Palace archivist, Dr Alexa Frost, who re-discovered the accounts book during a search of the archive said: “Sarah was a meticulous book-keeper and her insistence that every penny was accounted for was really quite revolutionary. “For the first time the multi-million pound cost of running the court and the country was being accurately recorded and she even insisted on the queen personally signing off all the expenditures,” she added. In addition to highlighting the huge sums of money involved, the accounts also reveal a treasure-trove of new information and mysterious entries which are exciting historians. Among the more intriguing entries are a payment of £10 15 shillings, equivalent to around £2,250 in today’s money to the ‘mad Spaniard’, £1,000 (£220,000 today) to ‘Mr M by the Queen’s order for Secret Service’ and a payment of the equivalent of nearly £7,000 to a Mr Galliard for making an anthem on thanks giving day. The accounts also reveal an astonishing amount was spent by the Queen on tea and chocolate. “On 2nd May 1709 there is a payment of almost £50 to a Mrs Hyde for chocolate. That would equate to about £11,000 today and on 6th April 1710 a similar amount was paid to Mrs Devet for tea,” said Dr Frost. “Chocolate had been the most fashionable female breakfast drink among the aristocracy before the introduction of tea and both were extremely costly but even taking that into account it does appear to be a large sum to pay,” she added. The accounts also cover one of the most pivotal moments in the deteriorating relationship between the Queen and Sarah when the pair were heard to argue in public during a thanksgiving service at St Paul’s Cathedral celebrating the Duke of Marlborough’s, Sarah’s husband, victory over the French at the Battle of Oudenarde. “Sarah noticed Anne was not wearing the jewels she had laid out for her and the two women began to argue, at one point Sarah was even heard to tell the Queen to ‘be quiet’!” said Dr Frost. This public spat is believed to be one of the key points which signalled the end of their long friendship and led to Anne effectively banishing Sarah from Court.